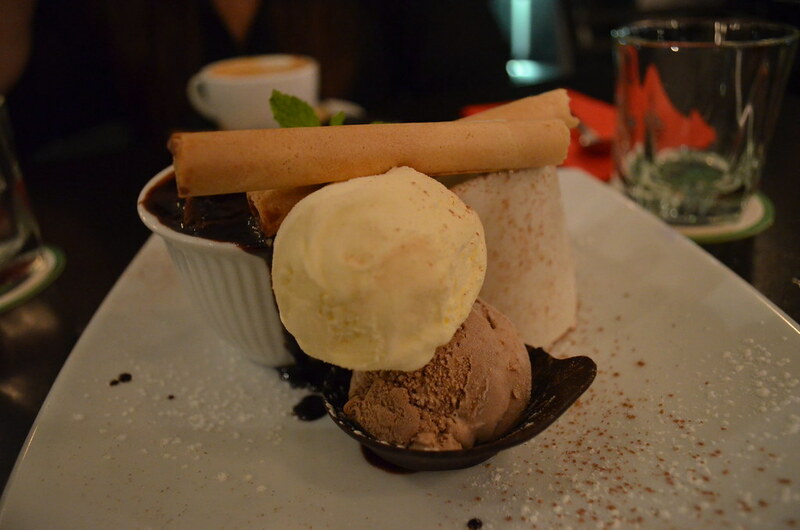 A dessert fit for Buddha's Belly. Jade Buddha is a chameleon of a bar and restaurant. Serving meals, cocktails and Sunday afternoon barbecues, Jade Buddha can do it all. We can highly recommend the Sunday Sesh Barbecues where juicy steaks and delicious seafood are served off the grill for a mere $15. Other than this, their a la carte menu is unexciting. Their redeeming menu item though is the Buddha's chocolate pudding, fit for Buddha himself. The dish was beautifully presented and featured a moist chocolate pudding, chocolate sauce, vanilla AND chocolate ice-cream and was topped with a chocolate wafer stick. 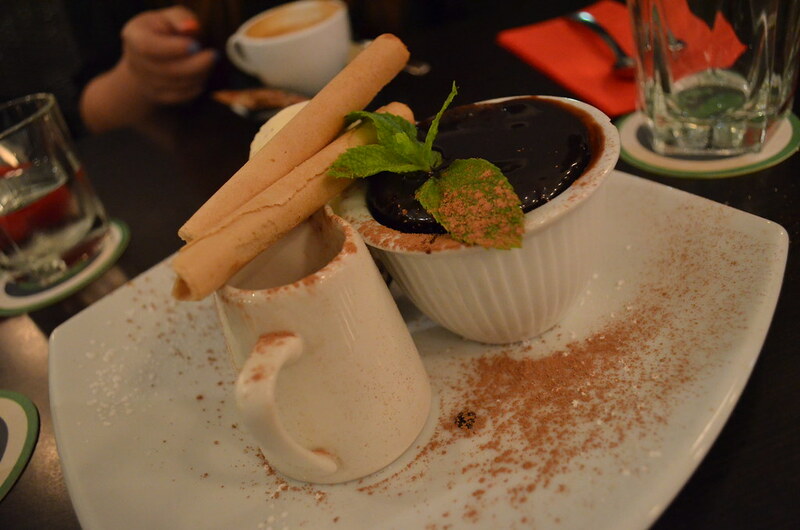 We recommend you visit Jade Buddha for their Sunday afternoon barbecues or their tasty desserts.